Is your credit score brag-worthy? While any score above 700 tends to be considered "good," an elite group of people have excellent scores that will snag them the most favorable rates. Only about 20% of Americans that have a credit score land above the 780 mark, which is considered the top tier, according to credit reporting agency TransUnion. Even fewer are above the 800 mark. Anyone can attain a strong credit score simply by practicing the tried-and-true methods of good credit management: pay your bills on time and keep your debts modest. 1. They got their financial act together early. It takes time and financial discipline to have a top-notch credit score. "Building credit doesn't happen overnight," said Heather Battison, vice president at TransUnion. "Create your own financial management process and make sure credit management is part of that process." People with high credit scores usually got on the right financial track as soon as they entered the real world: meaning they created a budget, were mindful of their spending and got in the habit of always paying their bills on time. Related: Should I open up a credit card in college? Opening a credit card at a young age and paying it off each month helps to not only build your credit history but it can help maintain it later in life. Length of credit history is considered when determining your score -- so the longer you've had a credit card, the better. Even if you don't use that credit card you opened in college anymore, don't be too quick to close it. "Once you close it, your overall credit limit changes and your utilization will also change," said Battison. "We always caution: Don't go and just start closing down credit cards -- especially those you've had open the longest." 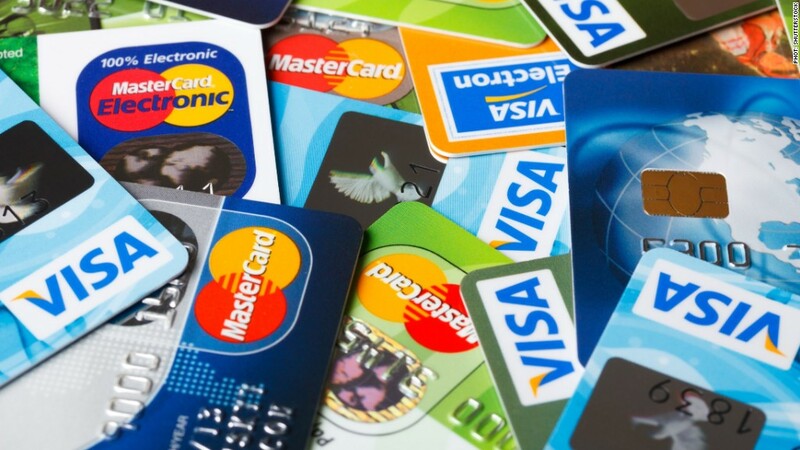 However, McBride noted that if the card has an annual fee it might not be worth keeping the card open. Having an excellent credit score means living within your means and not overextending yourself. To do that, it helps to create a budget that shows how much money comes in every month and allocating it to cover routine expenses, savings and non-discretionary spending. While checking your own credit will not affect your score, a lender running a credit check on you -- referred to as a "hard inquiry" -- can knock a few points off your score. Though the impact is usually minimal, numerous "hard" credit checks can hurt your score. When it comes to shopping for big-ticket items that will require a loan -- like a car or a home -- people with high scores tend to do their homework ahead of time, explained Battison. "If you start test driving cars and draw out the process by a month or two, you will get dinged by a hard inquiry every time a dealer checks your credit," she said. "If you do it all within a week, the inquiries will be grouped together." Just because you have credit, doesn't mean you should use it all. Spending no more than 30% of your available credit every month is a general rule of thumb for a healthy credit score, but keeping that utilization level even lower can get you closer to that 800 threshold. "If you can use less than 10% of your credit, it actually helps your score," said McBride. Chances are, if you ask someone with a top tier credit score about their finances, they can easily rattle off their account balances, credit score and savings rate. "They have excellent financial habits," said Battison. "They check in on their credit frequently to make sure the information on the report is in right and they aren't victims of identity theft."